My parents’ let me borrow a couple old photo albums, and I have been scanning some of the photos. I had not seen this particular photo of my Grampa Ross before. I knew that he could play the guitar and harmonica at the same time even though, I never remember him playing. In fact, I was the only grandchild that he ever knew. He died too young of stomach cancer on December 24, 1958. I turned one on December 26, 1958. I think that I would have really loved spending time with him. From what I have been told and from the photos that I have seen – he was FUN! 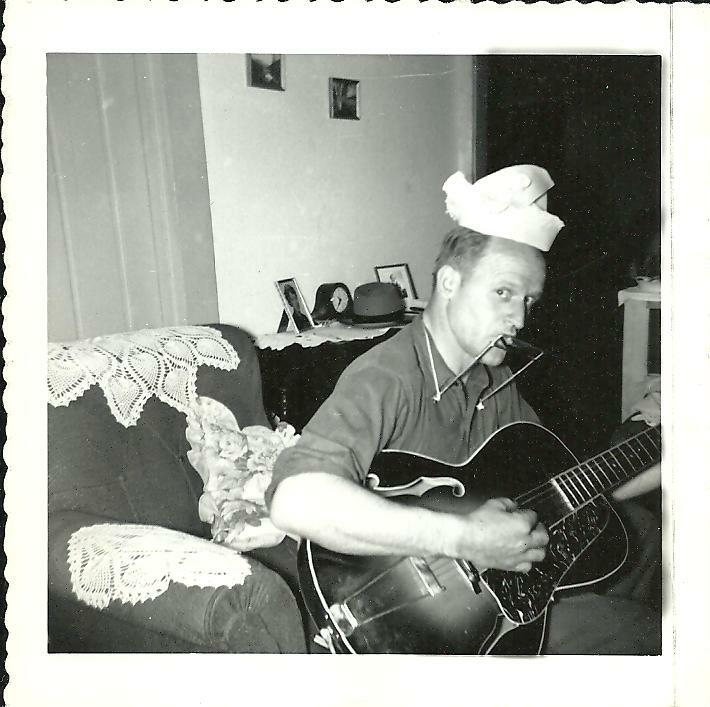 On the back of this photo is written (in what looks to be my Nana’s handwriting) “June 1951 – One man band – Doughnuts and Coffee Ken Ross.” I wonder what silliness he had on his head? I can see my mom and brother Tom in his face in this photo too. 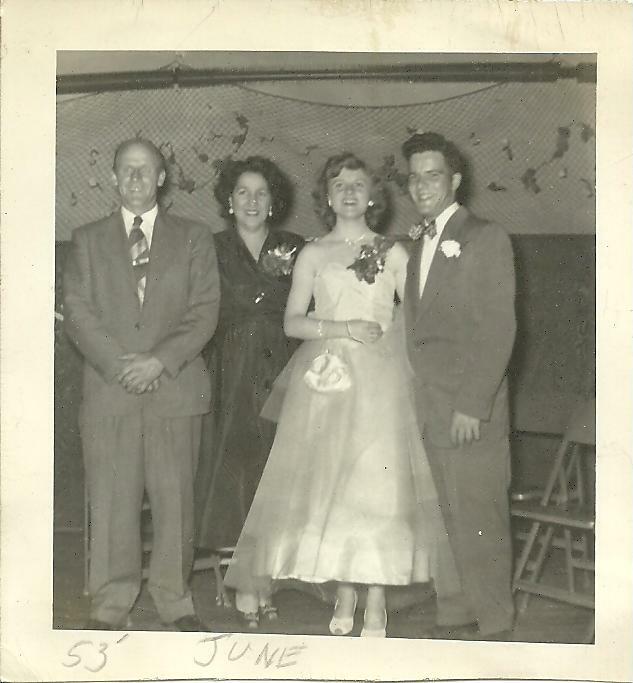 My mother said she was thrilled (not really) that her parents were chaperones for the Prom. I am sure every high school senior would want his/her parents to join them at the prom. 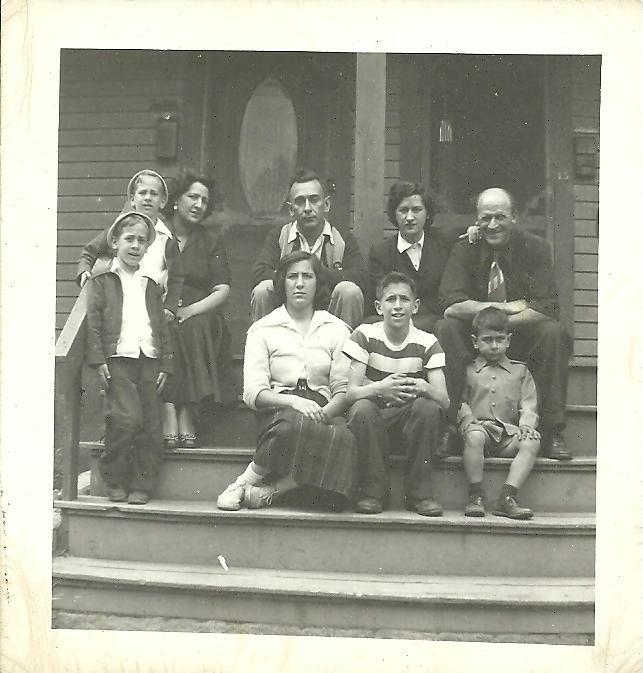 🙂 Pictured – Ken & Alba Ross (aka Grampa Ross & Nana), Betty Ross & Tom La Valley (aka my parents). Have a great day everyone! I will be posting more old photos soon on my other tabs – so check back!